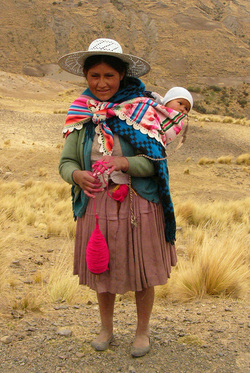 The Quechua are the largest people group in Bolivia. We partner with Javier and Lidia Solíz, under the leadership of United World Mission in ministry to the Quechua People of Bolivia. Javier and Lidia are in demand from local people all over Bolivia. Their giftedness in bible teaching and skills with appropriate technology make their ministry one in which we are happy to support. Quechua (descendants of the Inca Empire) are intelligent heard working people, who were not declared human by their own government until 1952. They do not trust easily. 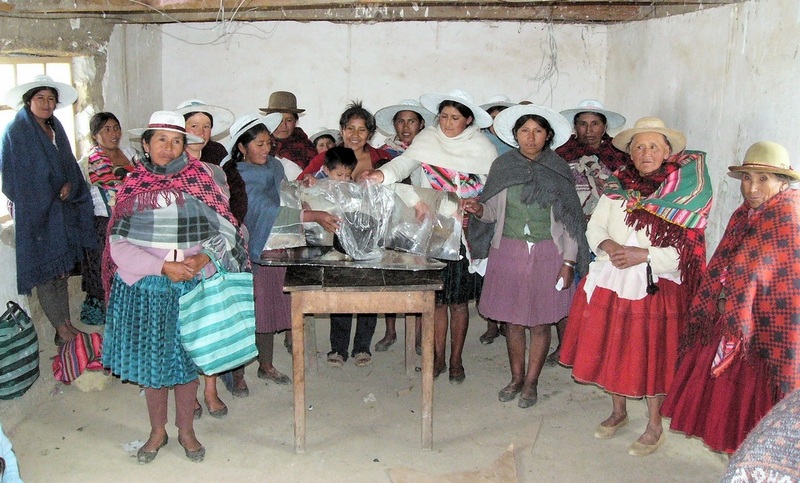 Javier & Lidia (Both Bolivians and she a Quechua) have built trust among The Quechua and other people groups throughout the country. Javier explains how a pump made from PVC pipe, bicycle tube and a bottle cap works. Teaching local church members in dry area how to build their own water pumps opens a new ministry opportunity in their community. simple and inexpensive, these pumps use PVC pipe, used bicycle tubes, bottle caps and a bit or wire to greatly improve many lives. Lidia chats with local women and explains how she is cooking her lunch in her K'epi (the bundle in front of them). This church decided to make water pumps a ministry to their neighbors. Women from Palkapampa meet and decide since they do the cooking they need to learn to make solar cookers. Lidia teaches the women of Palcapampa how to build their own simple but very effective solar cooker. they can build a cooker for about 3 dollars. These women take great pride in their first cooker. Bolivian public schools are open to Javier and Lidia. They share Bible stories and demonstrate appropriate technologies. They share God's love by word and deed.